What you get out of tomorrow depends on what you put into it today—and how you handle any bumps along the way. So while you’re keeping one eye on that retirement prize, make sure to keep the other on the lookout for pitfalls. Here are some potential obstacles to prepare for. Employer-sponsored 401(k) plans can often be a good way to invest in your future. Many employer-sponsored plans also offer a matching contribution feature. 401(k) plans typically enable you to make contributions out of your paycheck on a pre-tax basis, so you can defer taxation on your income while growing your retirement savings on a tax-deferred basis. Many smaller employers offer an IRA option, or you can open your own IRA. Many banks offer automatic withdrawals from a direct deposit paycheck into a savings account. Even though these banks credit your account with low (or no) interest—and thus offer limited growth potential—this can generally be an easy and conservative way to set aside cash on a regular basis. In today’s economy, you can never be sure of your job stability—or of your ability to quickly find a new job if you get laid off. That’s why many believe it’s critical to maintain an emergency fund to cover 6–12 months of living expenses like rent or mortgage and groceries. If you withdraw money from your retirement savings, especially a qualified retirement plan, you may incur tax penalties on the withdrawals (depending on your circumstances) while also cutting into the account’s value over time. Provided by Elsa Agdinaoay-Segal, registered representative of MassMutual Pacific, courtesy of Massachusetts Mutual Life Insurance Company (MassMutual). Lic. #357268. 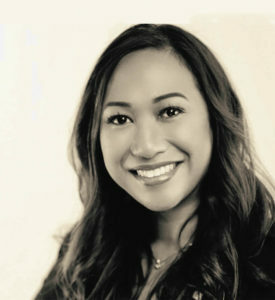 Agdinaoay-Segal was graduated from Hawai‘i Pacific University where she received a Bachelor’s of Science in Business Administration with an emphasis on Human Resource Management. In 2009, she earned the Chartered Retirement Plans Special-istSM designation (CRPS®). Agdinaoay-Segal has nine years of experience in the financial services industry. She is the mother of two children, Joshua and Lily, and married to Brandon Segal, a deputy prosecuting attorney with the County of Maui. According to the Social Security Administration, about one in four 20 year-olds working today will become disabled before they reach retirement age2. It’s a startling statistic with serious consequences. If you get sick or hurt and have to go on long-term disability (generally after six months of short-term disability), your employer may have the right to terminate your position—and with it, your ability to continue contributing to your 401(k). This can potentially have a considerable impact on your retirement savings. From credit cards to home loans to paying off your children’s college education, debt has the potential to derail your retirement plans. Debt, when not properly managed, may lead to low credit scores, a depletion of your retirement savings, or even bankruptcy. Unmanaged debt may also make achieving your foundation of retirement planning—the accumulation of assets—more difficult and potentially more expensive. The key is to pay down debt while properly balancing it with your other financial priorities. You can save early and save often for retirement, but something may happen that puts that savings at risk. Consider planning for the unexpected with a whole life insurance policy that builds cash value over time. Instead of digging into your retirement savings to pay for unforeseen expenses, you may be able to access the cash value3 in your whole life insurance policy to cover some of these costs. Or, later in life you may use your cash value to supplement a short fall in your retirement income. Taking the steps ahead of time to prepare for potential and real obstacles can help you enjoy life’s next adventure—retirement. 1 Past performance is no guarantee of future investment performance. 3 Access to cash values through borrowing or partial surrenders will reduce the policy’s cash value and death benefit, increase the chance the policy will lapse, and may result in a tax liability if the policy terminates before the death of the insured.